This is our Island Paradise Combo. 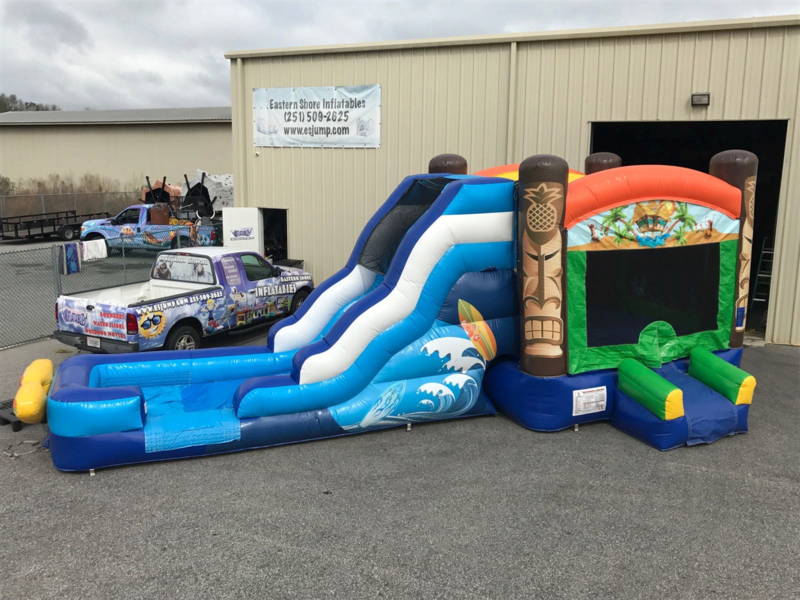 This unit features a 13x13 bounce area, climbing wall, basketball goal and slide. This unit can be rented wet or dry. It's tons of fun either way. All kids love this awesome inflatable.